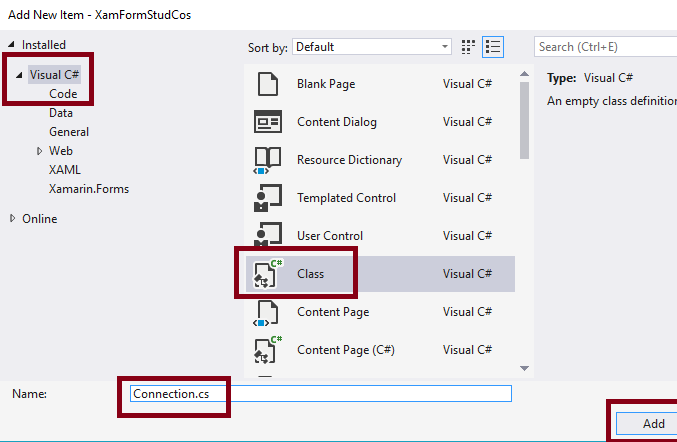 Reading this article, you will learn how to develop customized (Student APP) Azure Cosmos DB with Xamarin Forms application using Android and UWP in XAML and Visual C# - cross platform application development. 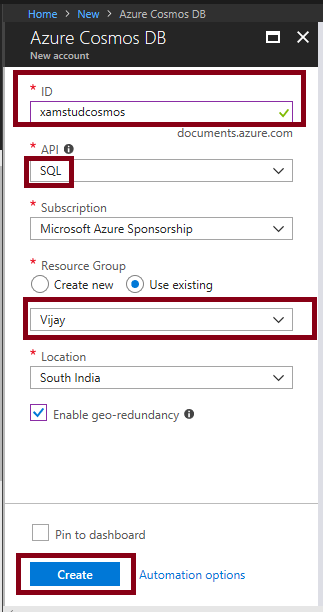 Azure Cosmos DB is a globally distributed, multi-model database service. 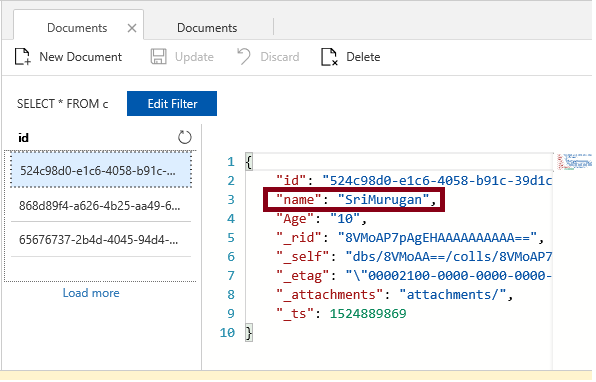 With Azure Cosmos DB, we can develop document, key-value, wide-column, and graph databases by using popular APIs and programming models. 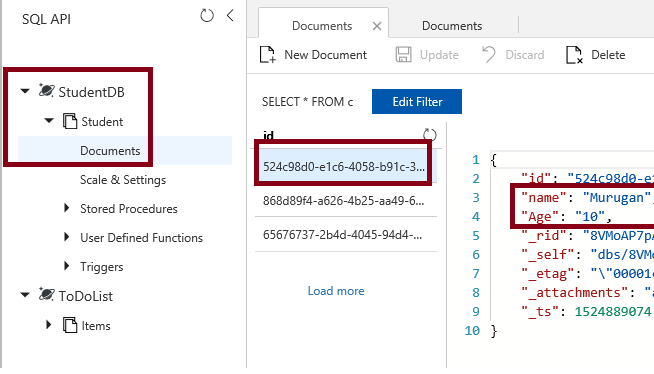 More details can be found here: https://docs.microsoft.com/en-us/azure/cosmos-db/introduction. Here the customization sample is Student Details. Student details in the cloud with mobile is an emerging requirement for the education environment. 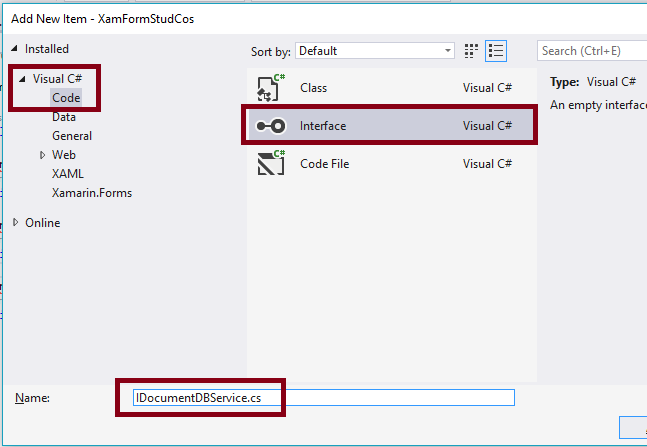 Reading this article, you will learn how to develop customized (Student APP) Azure Cosmos DB with Xamarin Forms application using Android and UWP in XAML and Visual C# - cross-platform application development. Now we can discuss step by step app development. 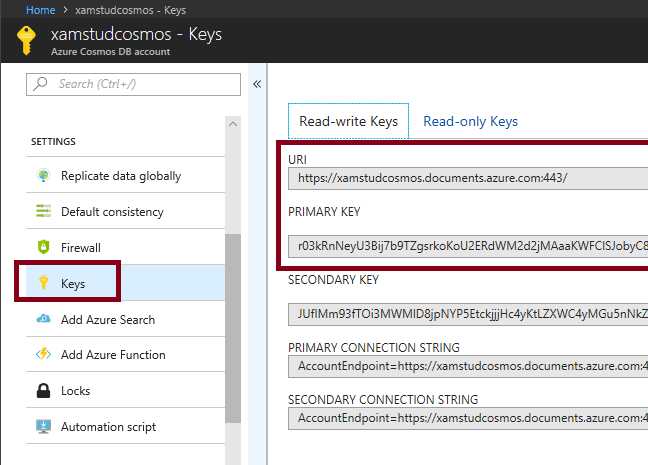 Login to your Microsoft Azure Subscription Account in https://azure.microsoft.com (Free Trial also there), or you can Try Azure Cosmos DB for free without an Azure subscription, free of charge and commitments. In this article, we discuss with Microsoft Azure subscription. 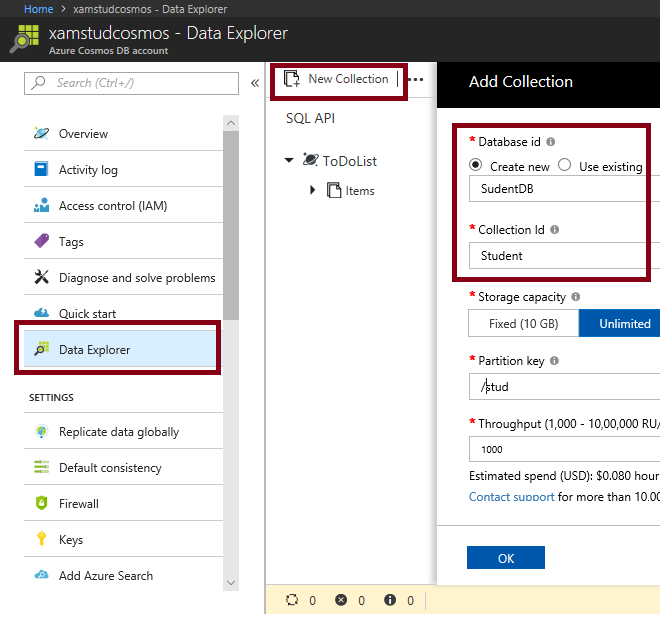 For adding Student Collection, go to DataExplorer in your xamstudcosmos account, and click New Collection, and set the values Database id, Collection id, Storage capacity, Partition key, and Throughput. 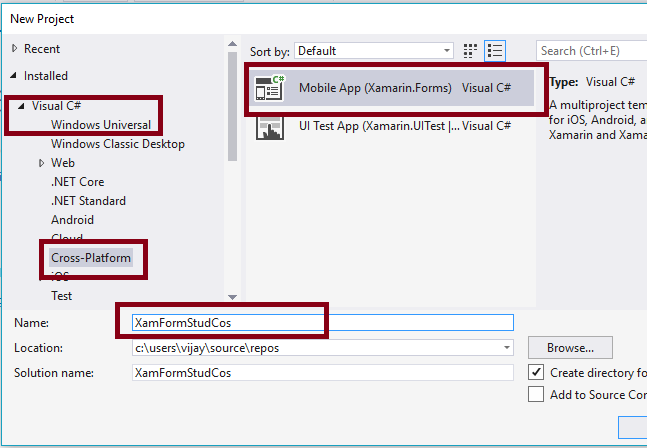 Now we can develop our Xamarin Forms Application. 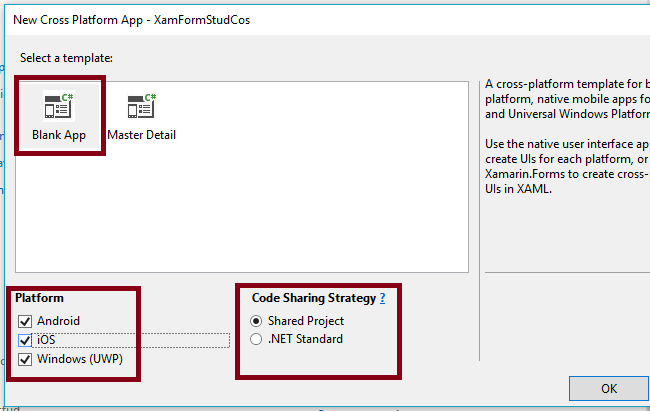 Open Visual Studio 2017 -> Start -> New Project-> Select Cross-Platform (under Visual C#->Cross Platform ->Mobile App(Xamarin.Forms)-> Give a Suitable Name for your App (XamFormStudCos) ->OK. 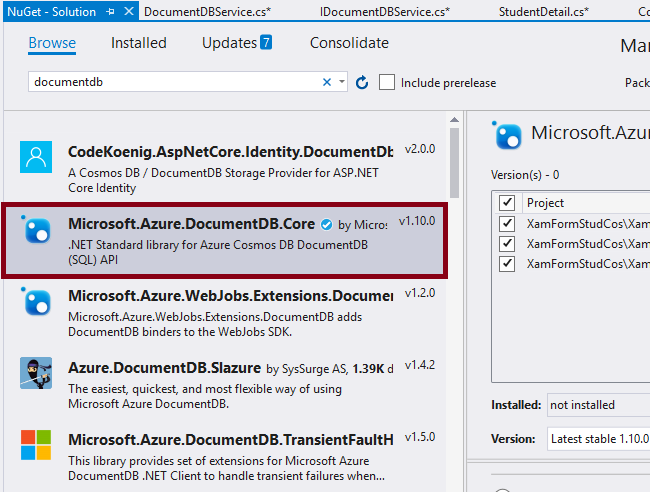 Add the Microsoft.Azure.DocumentDB.Core Reference, Right Click the Solution (XamFormStudCos)-> Select Manage NuGet packages for Solution. 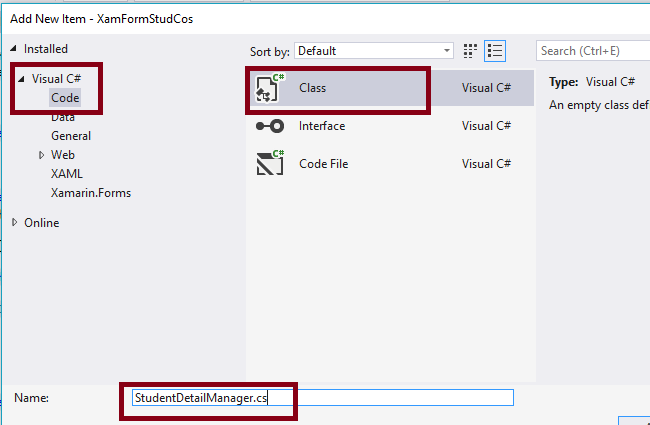 Add the following Namespaces and code in StudentDetailManager.cs. 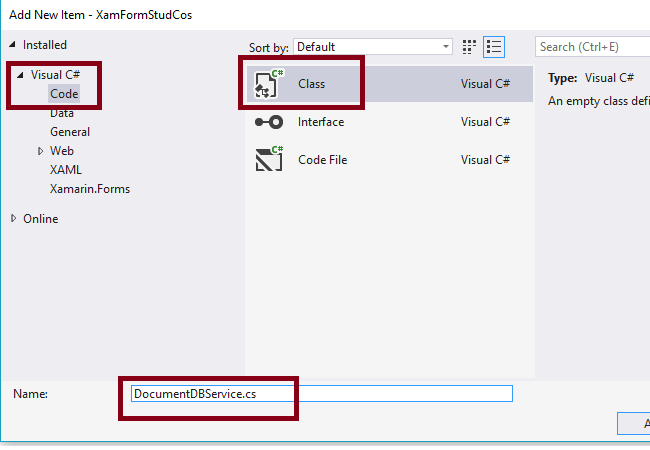 Add the following Namespaces and code in App.xaml.cs. 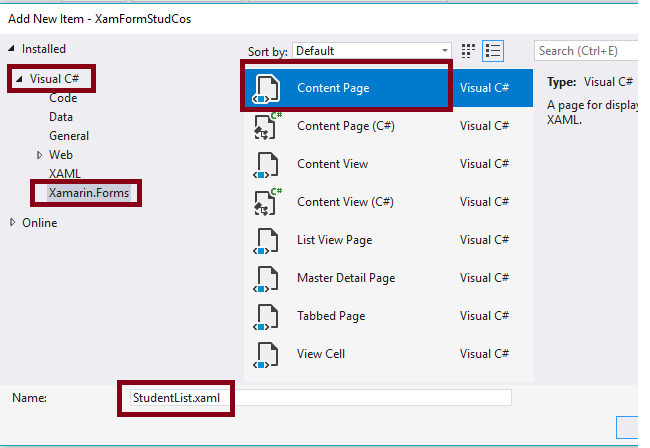 Next, Create View Folder and Add the StudentList Xaml Page for Viewing all student lists. 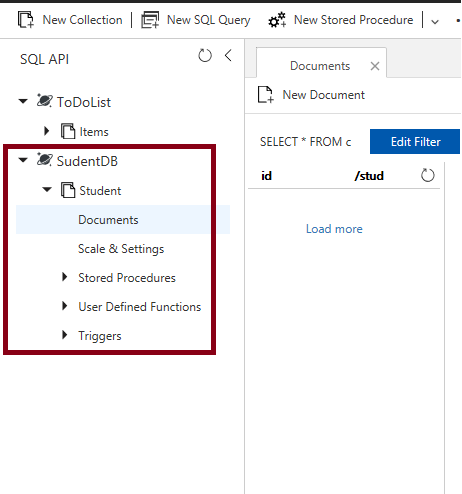 Add Toolbar item with Add and ListView item for Viewing student list. 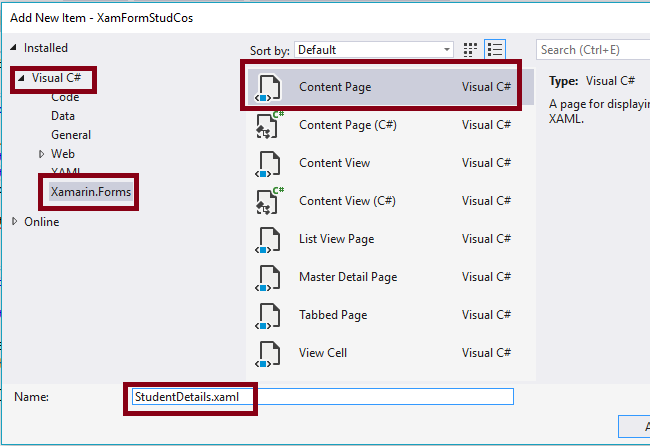 Add the StudentDetails Xaml Page for adding New Student Detail. 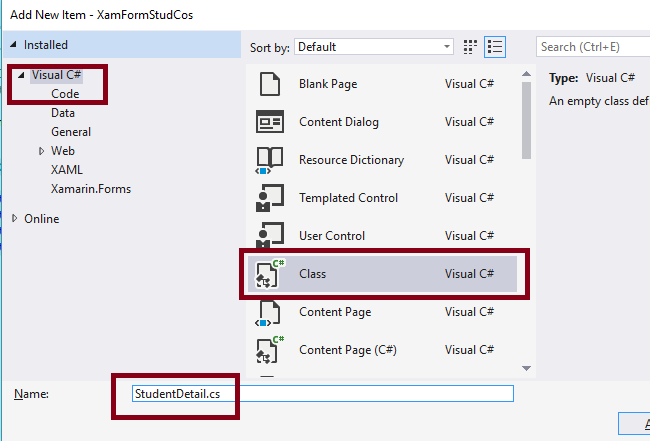 For adding a new student, Add Label, Entry, and Button controls with click event method. 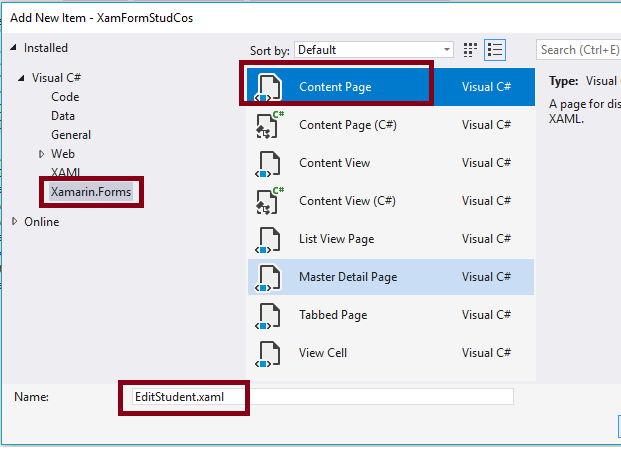 Add the EditStudent Xaml Page for EditStudent (Update, Delete) Detail. Set Multiple Start Up Projects. 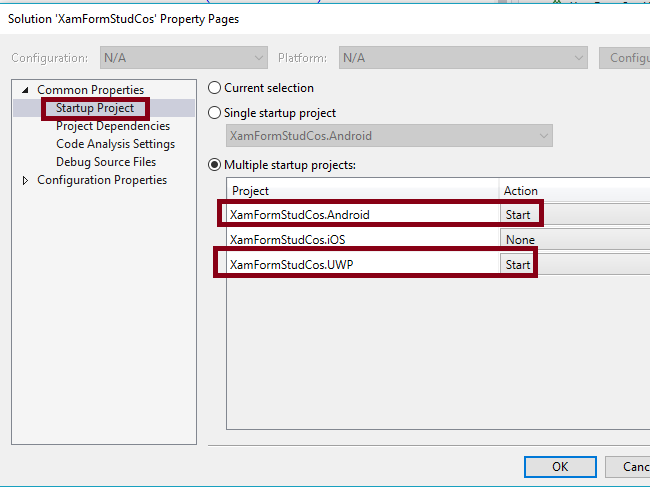 Build and Run the project XamFormStudCos in Android emulator and UWP. After Clicking add in Android and UWP. 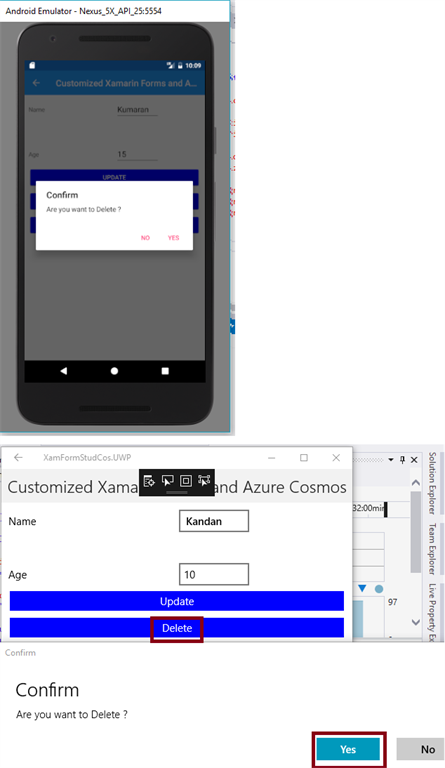 Now you have successfully tested Customized Azure Cosmos DB In Xamarin Forms application with Android and UWP using Visual C# and Xamarin.